Challenge- Can I Clean Three Bathrooms In Less Than 30 Minutes? When Anna was a baby, I used to clean houses to get some extra money for quite a few years. At one point, I had four houses I would clean on the weekends. So put that together with the fact that I am a complete germaphobe and a neat freak means I am pretty much an expert in these parts about cleaning. But there is definitely one room that in my experience is the worst and most dreaded room to clean: the bathroom. No one likes to clean this room because it’s the worst room in the house. So I have a challenge for you. Can you clean your bathroom in ten minutes or less right now? I am willing to bet money that if it took you less time, it would make the job less dreaded and give you time to focus on what’s more important….catching up on your DVR viewing….no no no.….spending time with your family. 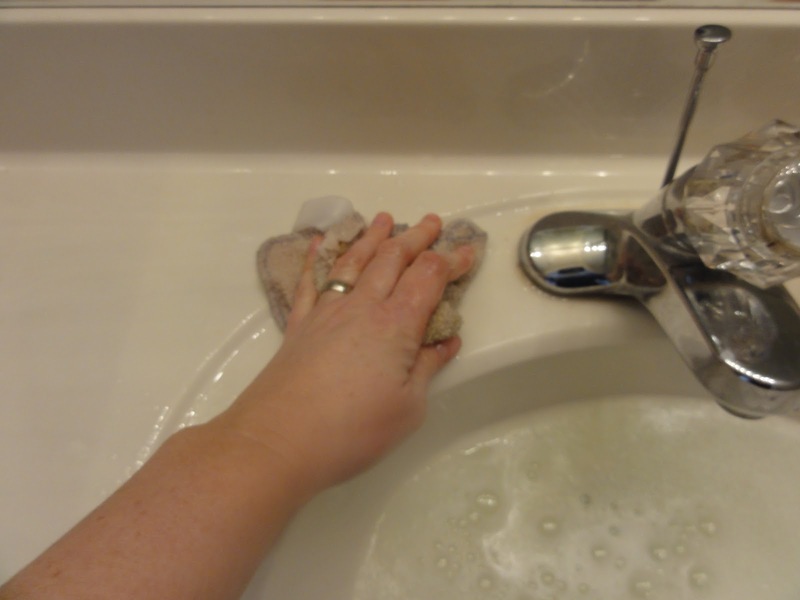 So here is a painless tutorial on how you can clean AND sanitize your baths in ten minutes per room. First of all, you need to have your supplies within easy reach. 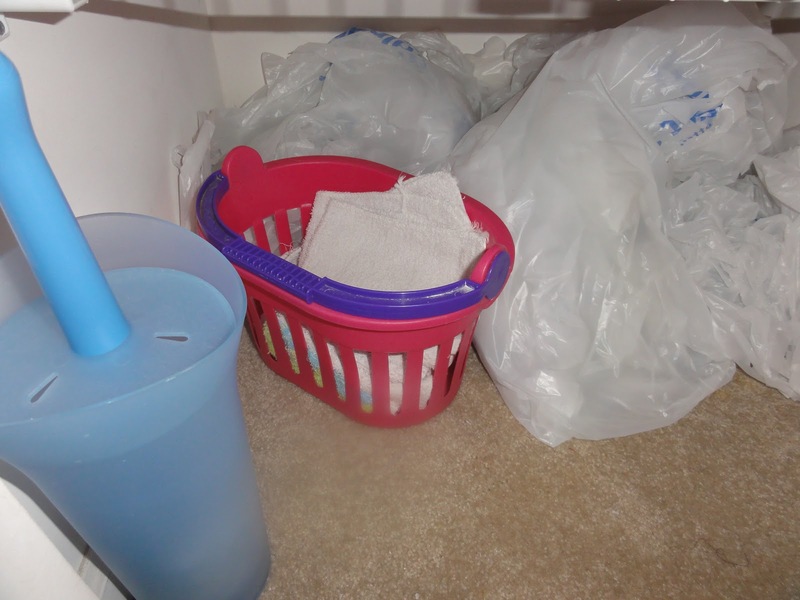 This means that if you have two levels of living, you need to have cleaning supplies on both floors, not just one. The initial investment will cost a little bit of money to start but it is worth it in the long run. Above is my upstairs cleaning supply basket. I use both name brand, generic and homemade cleaning supplies. So any variation is just fine. I keep this in my upstairs on the top shelf of our linen closet. I do not want to hear whining about how this will take up space. I have the smallest linen closet known to man and I make room for it on the top shelf. Ignore the grocery bags. 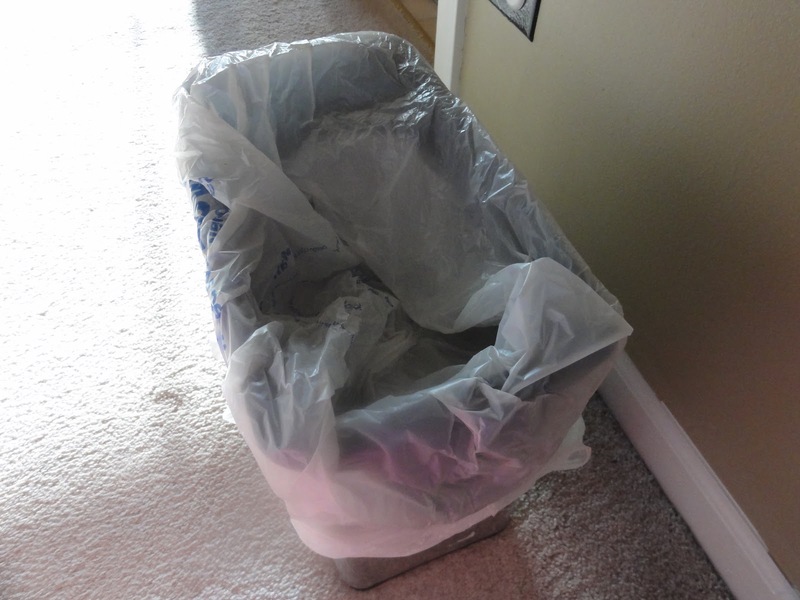 I don’t use those anymore since we changed garbage can sizes but if you have a small garbage can, you could do this. Now that you have all your supplies ready to go, let’s get started. 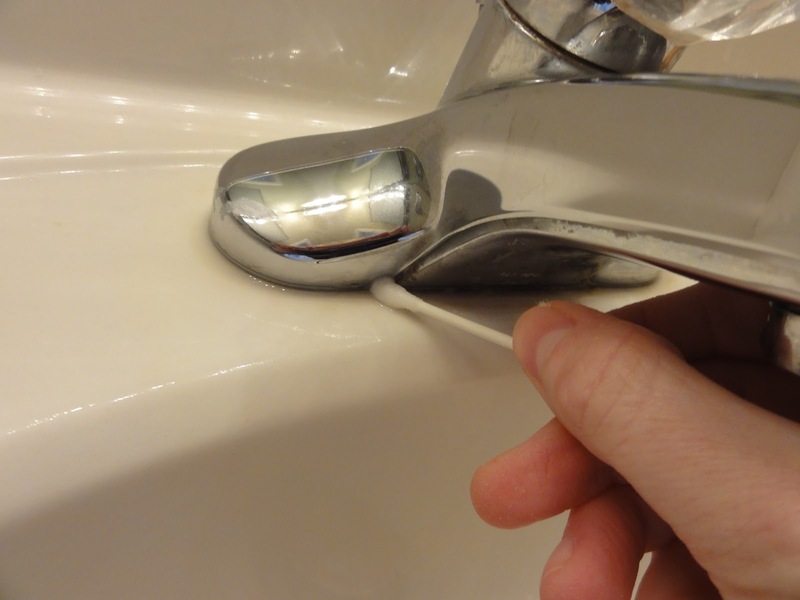 First, fill your bathroom sinks with water and a little of the cleaning solution (think Pine-Sol). This will act as your “bucket”. 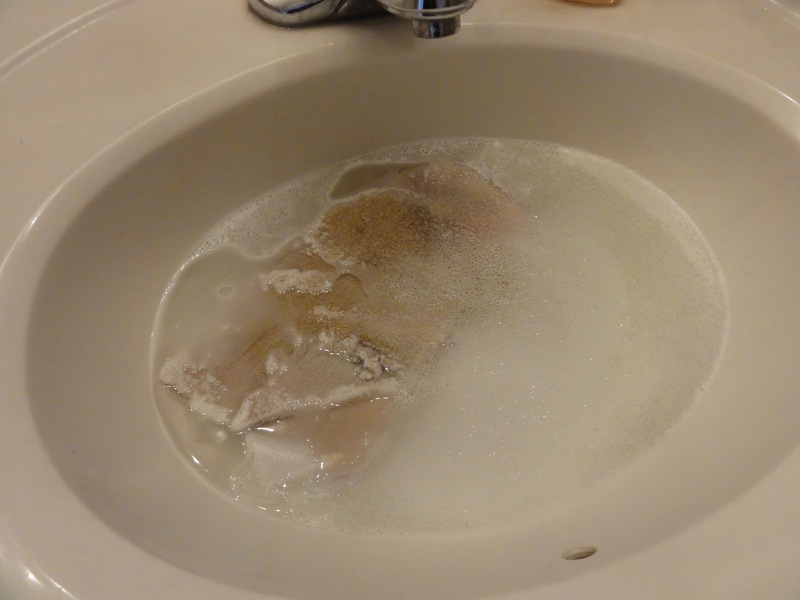 Place your rag into the sink and start cleaning the counter surfaces first. 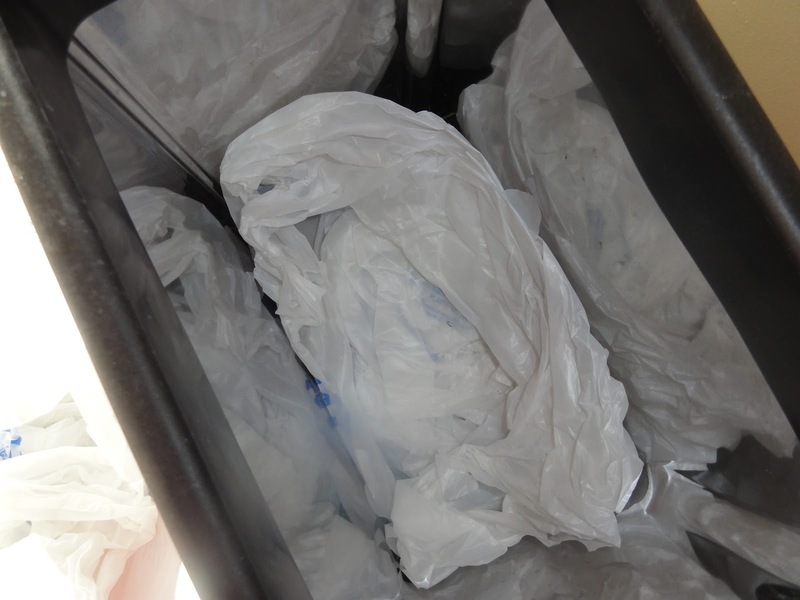 Then after cleaning the counter, sink, faucet, walls around the counter and cupboards, move to the floors wringing out your rag as needed. Time total- 1-3 minutes depending on the size of your bathroom. Then head on over to the toilet. Clean the top of the tank first, then the seats etc..
After you do this, get the toilet bowl cleaner and add to the inside of the toilet. Take your brush and clean the potty. 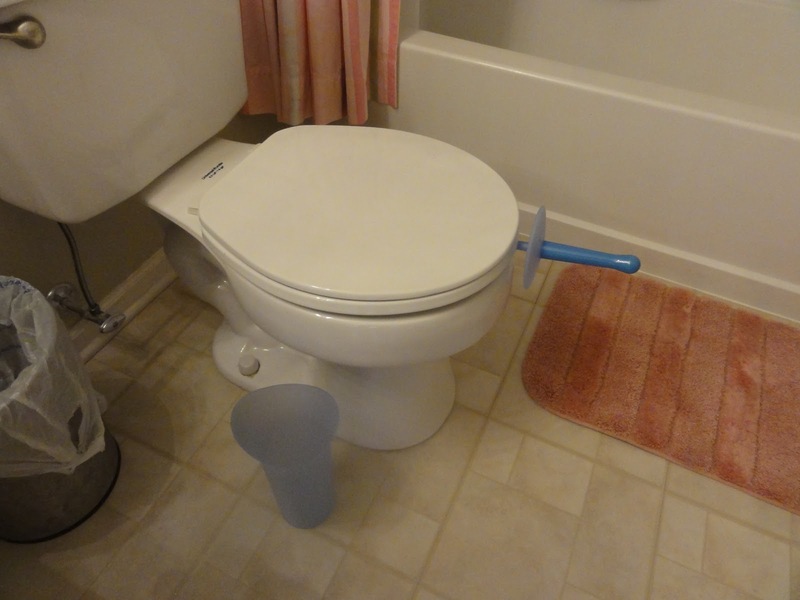 Tip– turn your head away from the toilet as you are cleaning it with the brush to avoid splashing in your face. Then let the brush drip dry in the potty as you go wash your hands. Now it’s time to work on your shower. 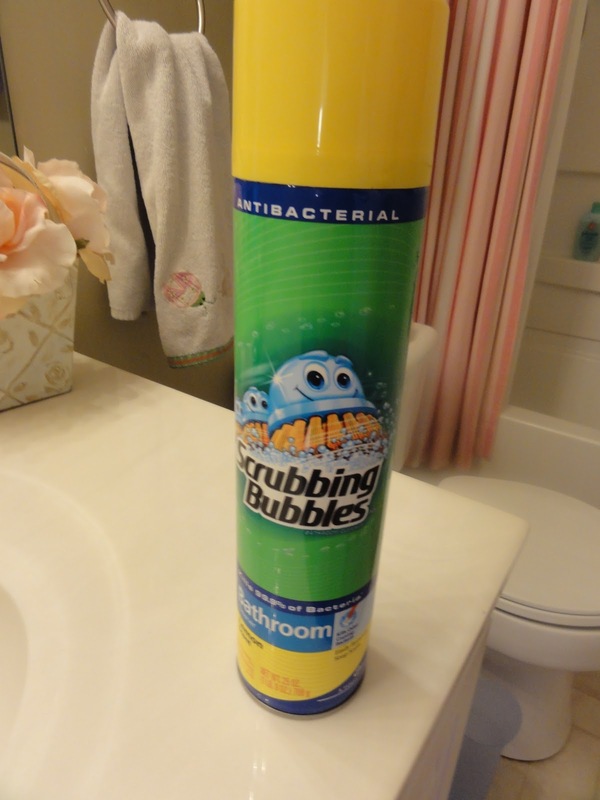 I use this because I can clean the bathroom while this is on the walls and floor of the bath. Now, this is really toxic so I would recommend another alternative. My lungs literally hurt when I am working in the same room so definitely time to find something else. Time to work on glass and mirrors. Hang the fresh towels up. Next, we will work on the garbage. Keep the grocery bags at the bottom of the can. Take out the new bag and you’re done. Now go and rinse off your shower. That will take all of thirty seconds. So go get some of this stuff because I know you have it sitting around somewhere. 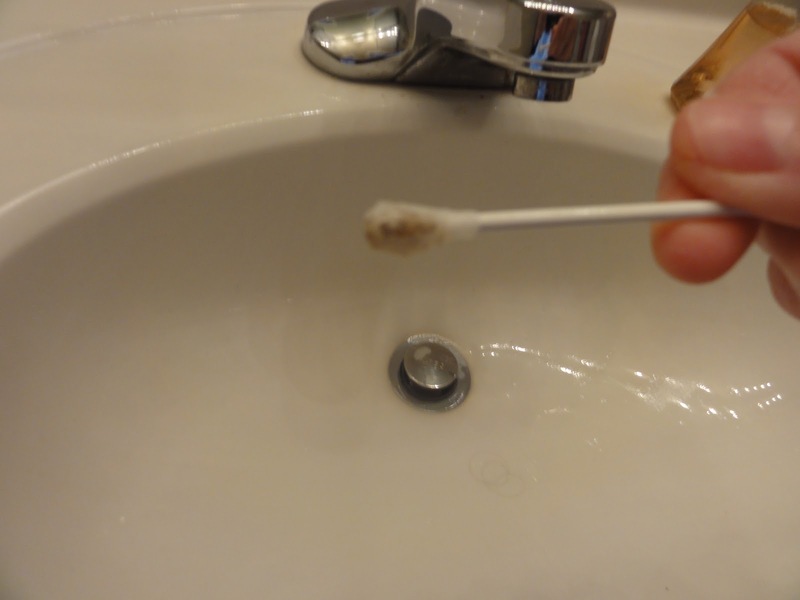 Get a piece of toilet paper and a q-tip. 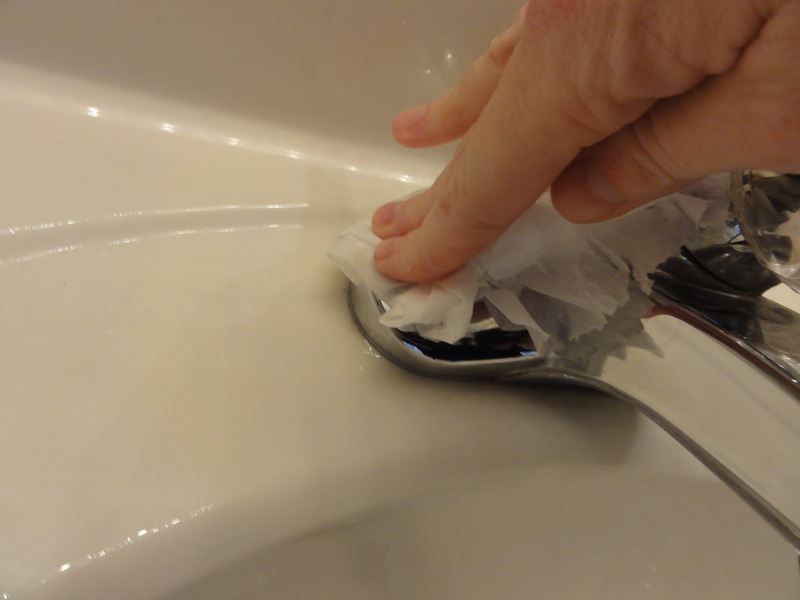 Put a little of the rubbing alcohol onto the toilet paper and rub your stainless steel with it. It will make it shine like no other. And I do this every single week so imagine how bad it gets if it never gets cleaned? I don’t do this every week but every once in a while I put the girls’ brushes in the sink with some baby soap. A sparkling clean bath in less than 10 minutes! 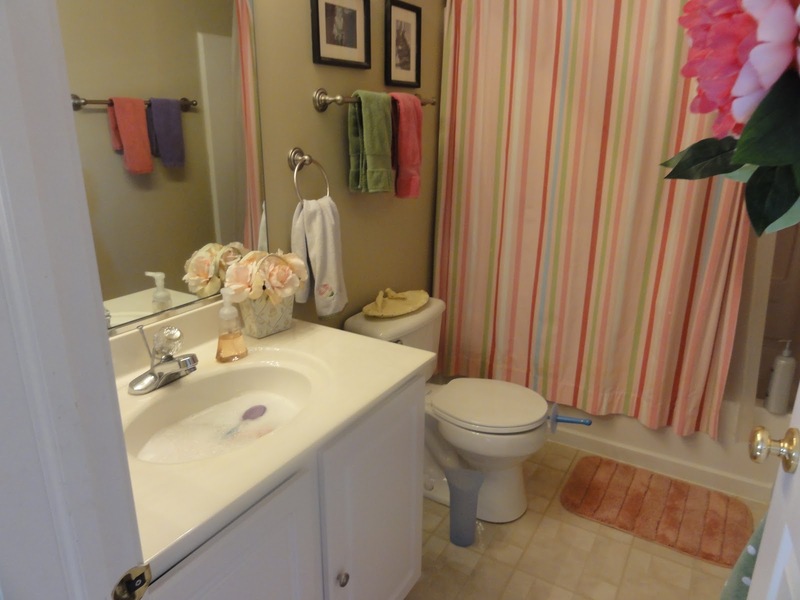 In this day, I did the master bath, the girls bath and the downstairs bath in less than 30 minutes. -When cleaning your bathroom, make sure you always keep your shower curtain stretched out so your liner won’t get full of mildew and Lysol it after using the shower if you can remember. I never remember, only when I clean it so no worries but I never leave the curtain bunched up so that my liner lasts longer and gets less smelly and moldy. 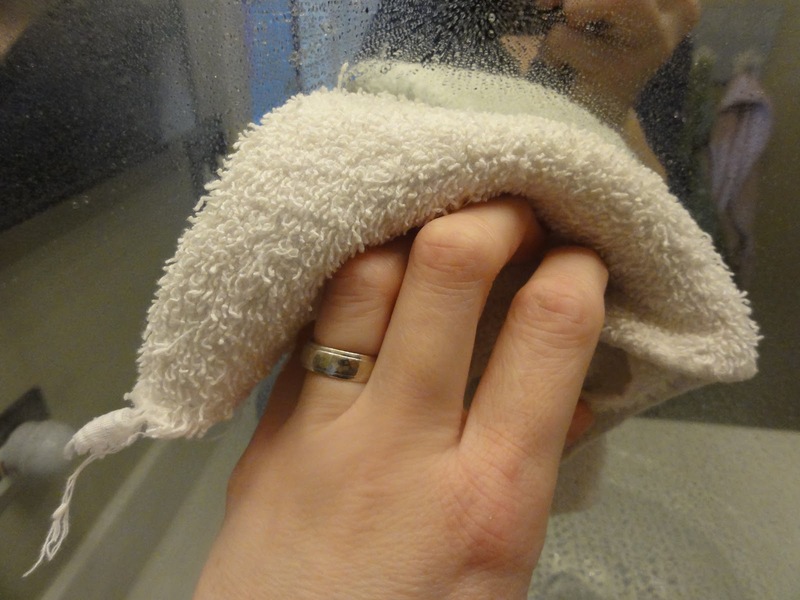 -This is the best time to wash your bathroom rugs. 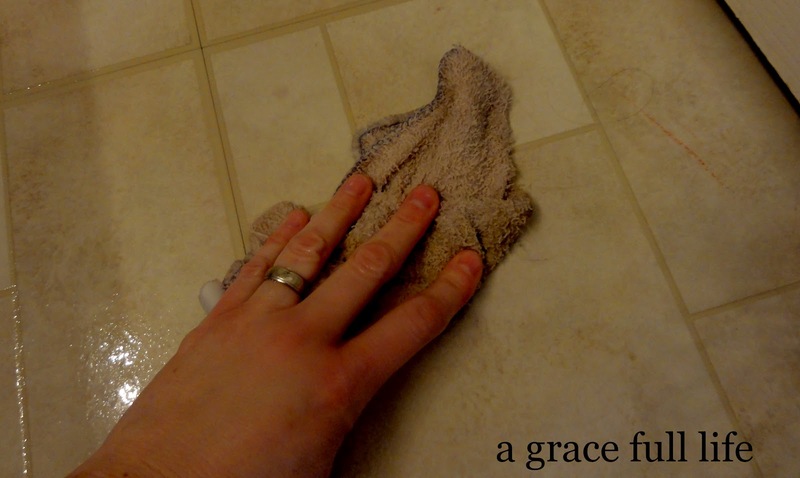 You are already cleaning the bathroom so why not wash the bathroom rugs on the same day? 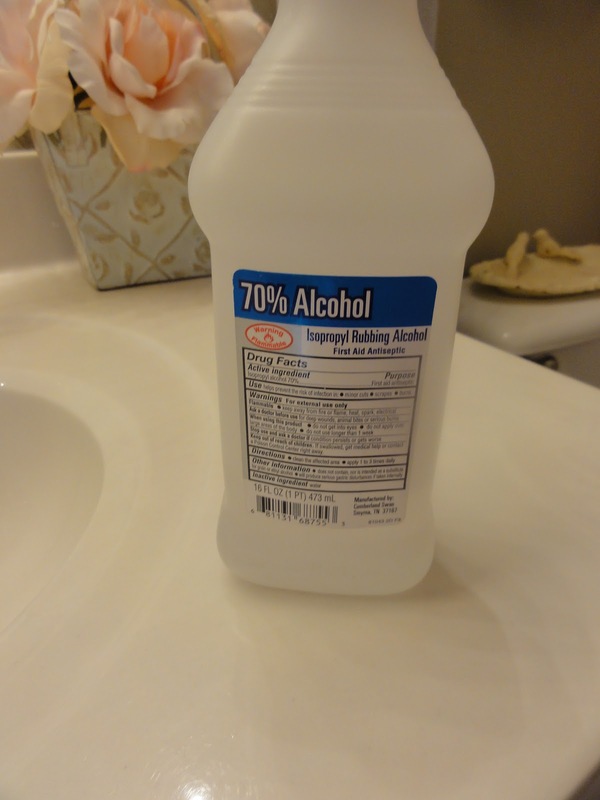 -I also use the rubbing alcohol on the baseboards of the bathroom and that only takes 30 seconds to do. 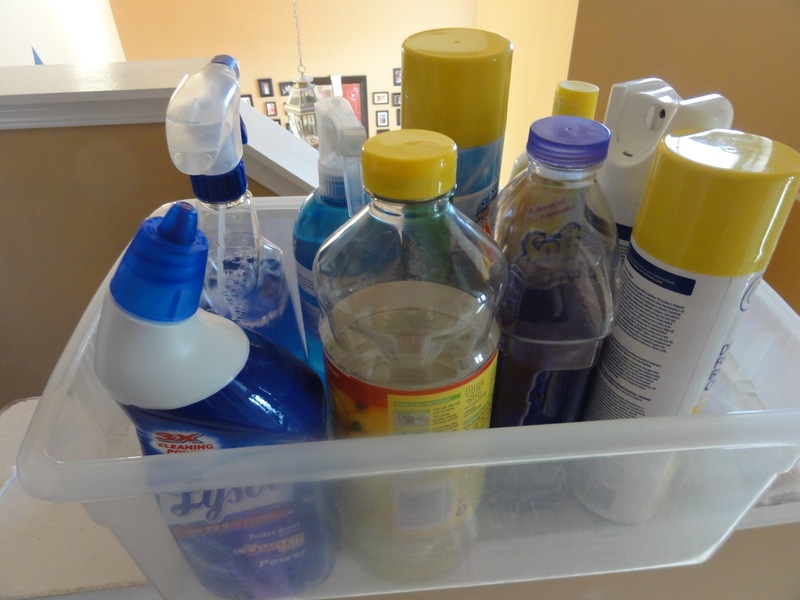 -If you have the stomach flu or norovirus going around your home, do not use anything other than bleach or bleach related cleaning products if you want to keep it from spreading. I read in Good Housekeeping magazine a few months ago that Clorox wipes will not kill the norovirus but bleach or a cleaner with more bleach than any other ingredient will. 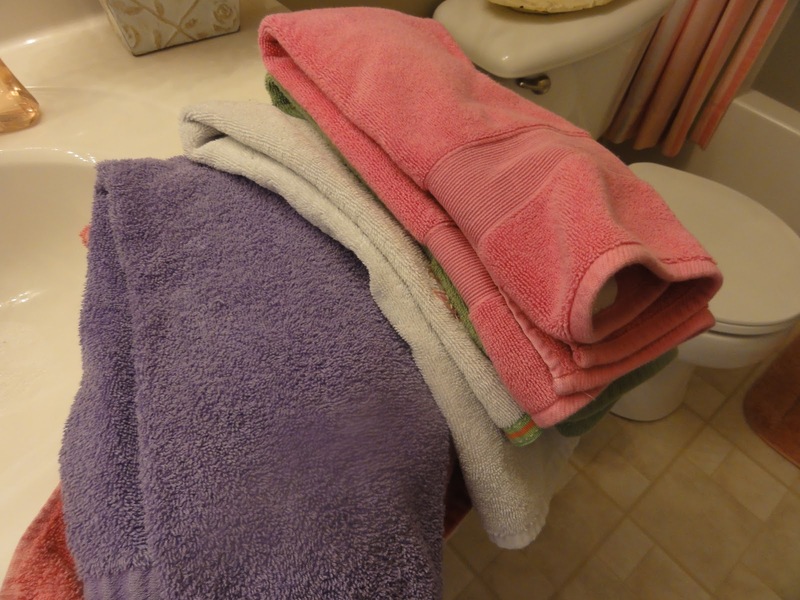 -And lastly, always bleach your bathroom cleaning rags in the laundry to prevent the spread of bacteria. I hate to clean the bathrooms. So your tips I appreciate SO much. Will be implementing today! 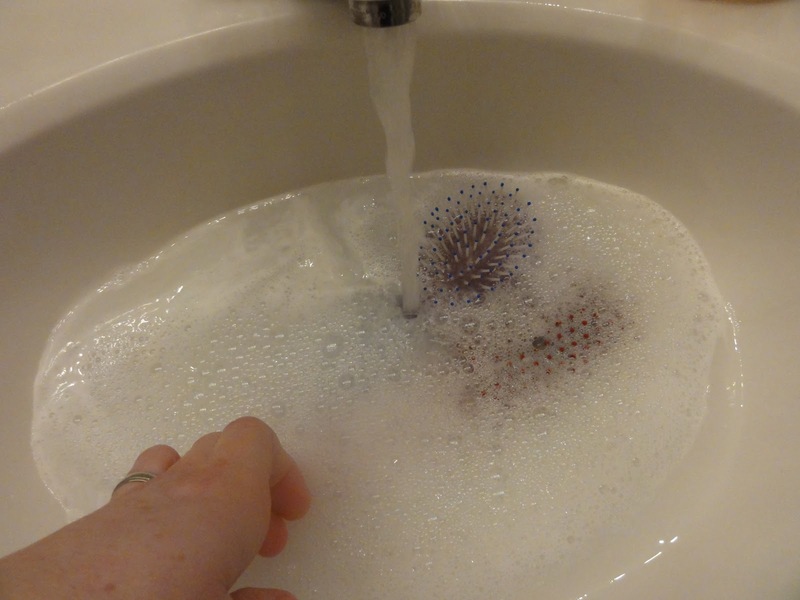 Especially love the soaking of the girls' hairbrushes. GREAT idea. Never thought to do that at the same time I was cleaning the bathroom. Thanks so much Camilla! It means a lot to me when you share your sweet comments and I am so happy I could share some new tips with you! Wow! You make it sound almost tolerable! I got a tip this week that I haven't tried but I thought I'd share with you. I get a lot of dust on my toilet from the toilet paper! I swear, I don't remember this from my childhood. Anyway, if you rub a used dryer sheet over the toilet surfaces (that is after it is clean) the dust is not supposed to accumulate. I have heard of that tip but I have never tried it….I will now. In fact, I am cleaning bathrooms today! Thanks so much for visiting!